Single-stream recycling—a recycling system in which residents place paper, glass, aluminum, tin, and plastic into a large bin for curbside pickup—has recently been adopted by many U.S. cities as a way to increase recycling and collection rates while cutting costs. At first glance, this new type of recycling program sounds like a no brainer. However, just because materials are collected at the curb does not necessarily mean they will be recycled. Although implementing such a recycling program requires towns to purchase new bins and trucks, only one driver is needed instead of two, thus saving the town money on salaries. And with just one recycling bin to pick up instead of the two with dual-stream programs, it takes less time to drive the route, thus further decreasing labor costs and vehicle wear and tear. Yes, it is true that there is usually a net increase in materials collected with a single-stream program. But what you may be surprised to learn is that the percentage of materials recycled is actually less than that of dual-stream models, largely due to contamination by broken glass, food and organic residues, and other paper grades. For example, after adopting a single-stream program between 2008-2011, Ann Arbor, MI saw contamination jump from 2% to 15%. Other communities have seen contamination rates skyrocket to almost 28%. Not only does contamination send perfectly reusable and recyclable material to landfills, it also increases processing costs as recyclers spend extra time and labor to remove contaminants (as broken glass can damage or even destroy processing equipment). Thus, most decreases in municipal collection costs are more than offset by increases in contaminated paper processing costs. Furthermore, the final recycled paper created from a single-stream program is of such poor quality that it not only sells for less than cleaner recycled paper, but also has a shorter life expectancy (i.e. it will have to be permanently landfilled sooner than cleaner, higher-grade recycled paper). The city of Ann Arbor, for instance, lost more than $10,000 in revenue in just four years because its comingled, low-quality recyclable materials fetched a lower price than its previous higher-quality dual-sourced recycled materials. 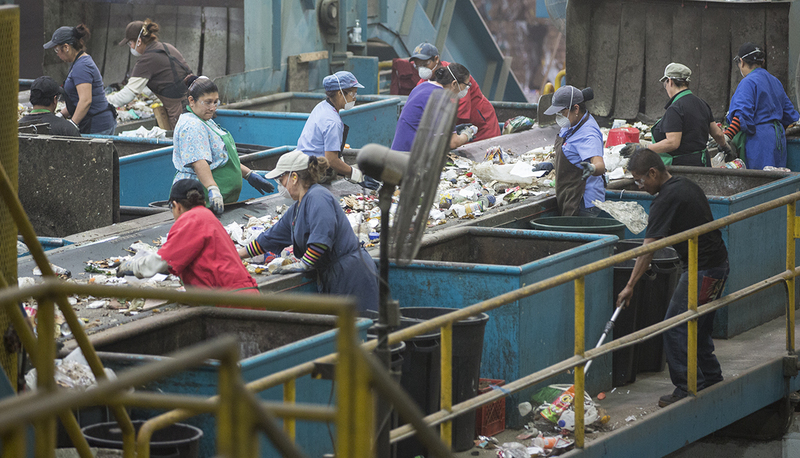 Since recycling depends upon the participation of residents, local municipalities, and private industry, any recycling model has the potential to benefit some while burdening others. Unfortunately, single-stream recycling programs generally displace costs from the municipality to the paper industry and negatively impact the entire recycling system. So the next time you hear your local legislator count off the benefits of transitioning your recycling program to a single-stream system, ask them how they are going to save the town money with a program that only serves to increase costs while decreasing the amount of materials that are ultimately recycled.